My birthday was a couple weeks ago and I received a lot of nice gifts. Thank you! However, I had a little extra smile when I opened the joint gift from Tyla and Elijah because I couldn’t remember the last time that I received something that was nothing other than a toy. 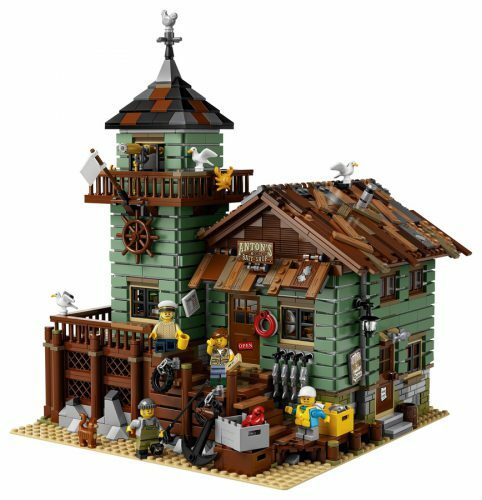 They got me the giant Old Fishing Store Lego set! After putting together the Lego Diner earlier this summer, I put that fishing set on my wish list. 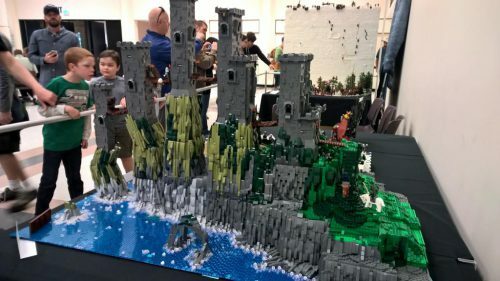 These big sets are so much fun and it’s great to spend time with Elijah working on it. The fishing village came out a while back but it’s always stuck in my mind for the insane level of detail. After assembling it, I can say that it lived up to my expectations! And as with the diner set, I’m not going to post my own photos because plenty are available online. I also recommend that you watch the JANGBRiCKS video review. It’s hard to say whether I like this set more or less than the diner. On the plus side, this has more detail crammed into a smaller space. On the downside, a bunch of that detail comes from specialized pieces. Both the diner and this fishing store have lots of studs-on-the-side construction to support siding on the walls but the fishing store has an interesting take on it. The whole structure is built to look old so some of the siding pieces are put on at an angle. It’s a neat effect. 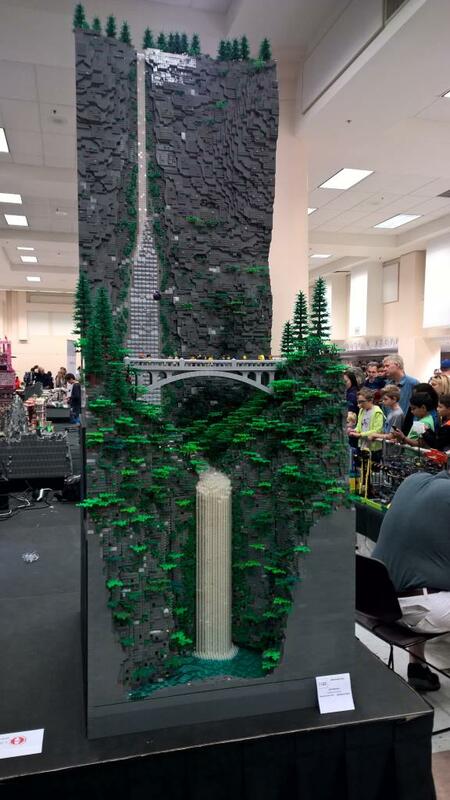 BrickCon is a big Lego convention held in Seattle every year. Tyla and I attended in 2009, but I haven’t been back since. This year I thought that Elijah was old enough to get a kick out of it and Logan was interested too so we headed into Seattle to check it out. It was busy in 2009 but wow it was PACKED this year. It was pretty difficult to keep Elijah interested when we were two or three people deep just to see the displays. I had to keep him on my shoulders for most of it. We only lasted an hour before he was done, but we were able to quickly scan most of the displays. It is incredible how much time and detail people can cram into these creations. You have to look so closely to see it all. I imagine this won’t be the last time we go, but next time I think I might try to go a little later in the event to see if the crowds are a little slower towards the end.